It was only a matter of time. 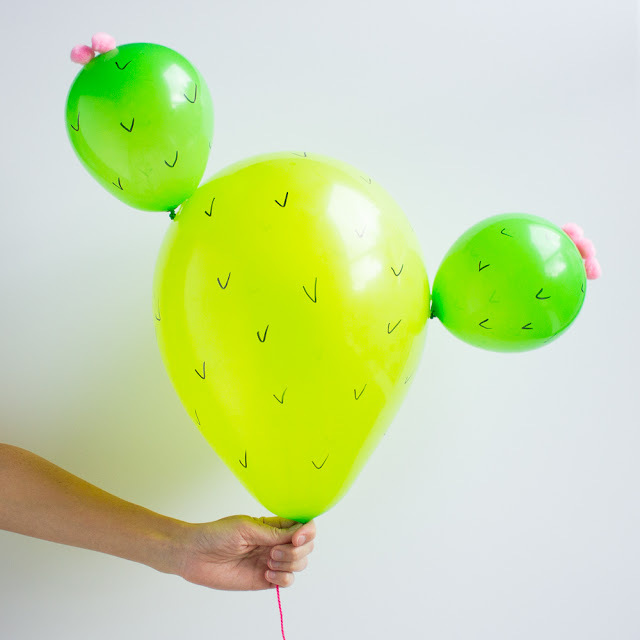 Cactus crafts have been all the rage among my fellow craft bloggers this summer, and I just had to partake in the fun…in balloon form, of course! 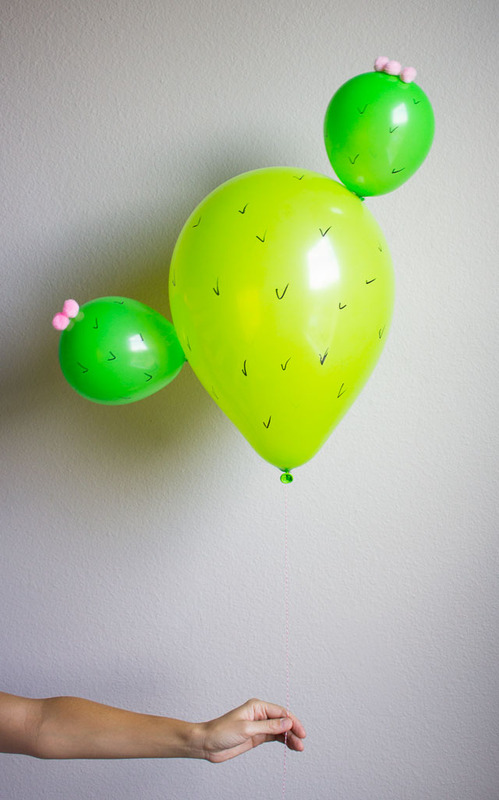 I got the idea for these prickly pear cactus balloons after visiting Arizona in May and being inspired by all the cool cacti! I thought the pads on the prickly pear looked just like the shape of a balloon and I was dying to get back home and give it a try. 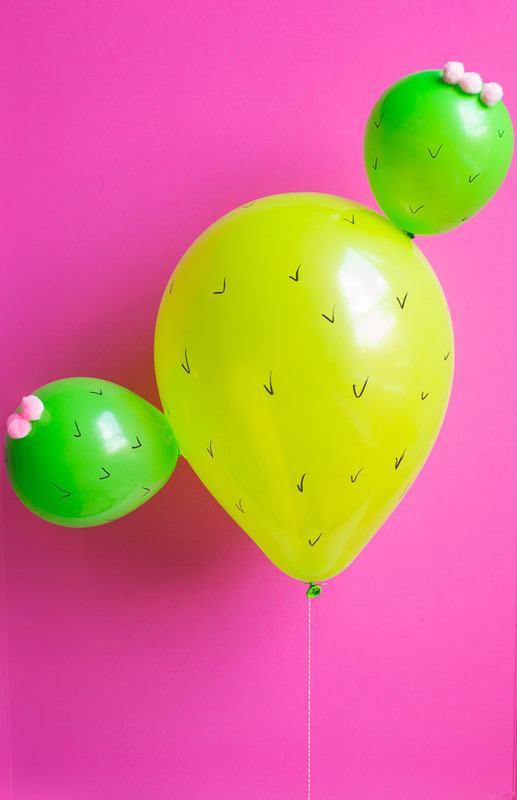 A little helium, a little hot glue, and a few pink pom-poms to top it off and we have cactus balloons! 1. 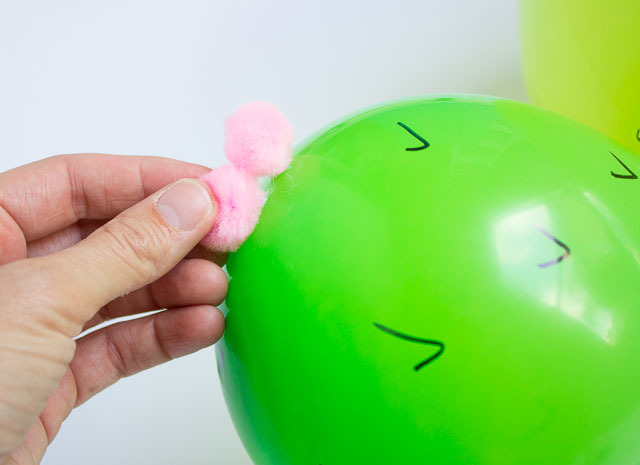 Inflate one 12″ helium-grade balloon with helium and tie with string. This will be the main part of the cactus. Inflate a 9″ helium-grade balloon only part way to form one of the “pads”. Knot and then trim off most of the end of the balloon as shown below. 2. 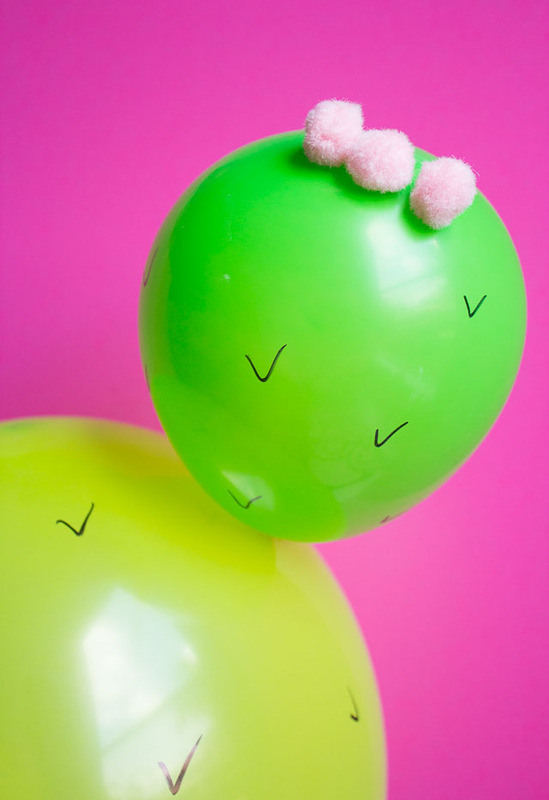 Add a small dab of hot glue (on low setting) to the base of the 9″ balloon and position it where you want it on the 12″ balloon, holding in place a few seconds for the glue to dry. 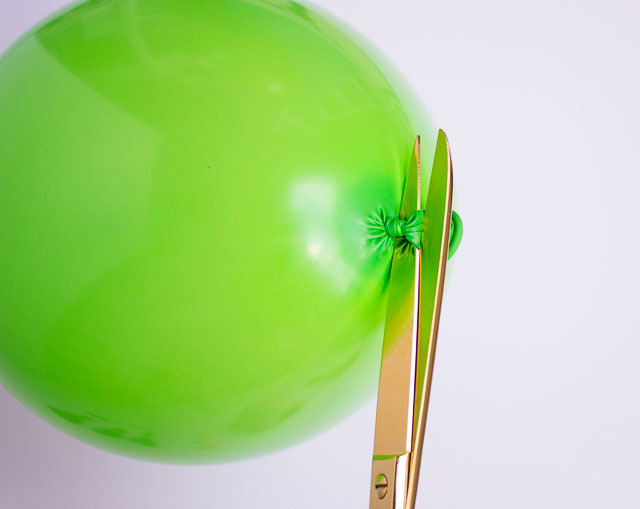 Note: it is important to use a small amount of glue on the low heat setting to avoid popping the balloons. 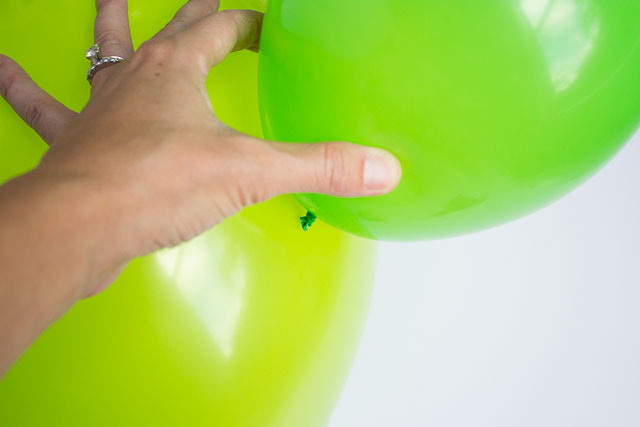 You can add another small dab of hot glue to the side of the balloon if needed to get it to lay flat. 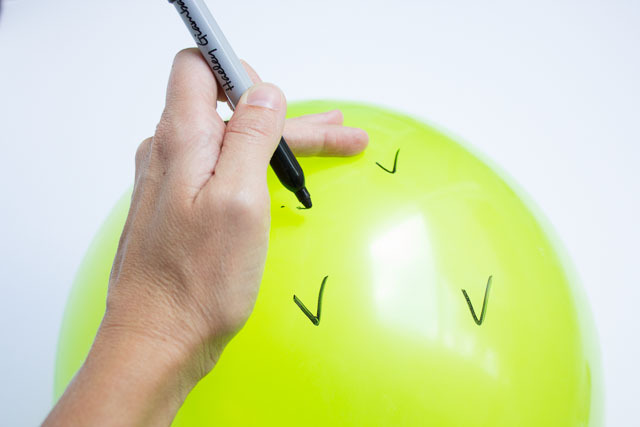 Repeat by making another 1 or 2 “pads” and sticking on the larger balloon. 3. Use a Sharpie to draw little spikes on the cactus! 4. Add a few pink pom-poms to the top of each pad with a small dab of hot glue. That’s it! Even though there are a few steps involved, the process to make one is very quick! These helium inflated balloons should last at least 6 hours. Digging the cactus trend? Check out these awesome cactus crafts! 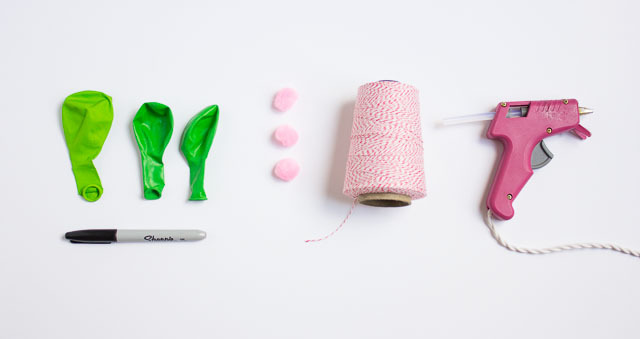 Love balloon projects? 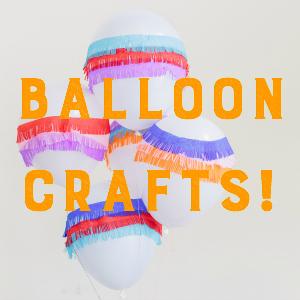 Don’t miss my other balloon crafts!